STEM toys are hot, no doubt about it. LEGO announced revenues earlier this fall that made it the largest toy maker in the world for the first time ever. As LEGO’s success shows, the “E” in STEM, engineering, is a natural fit for younger kids, who can design, build, tweak, and tinker for hours on end. 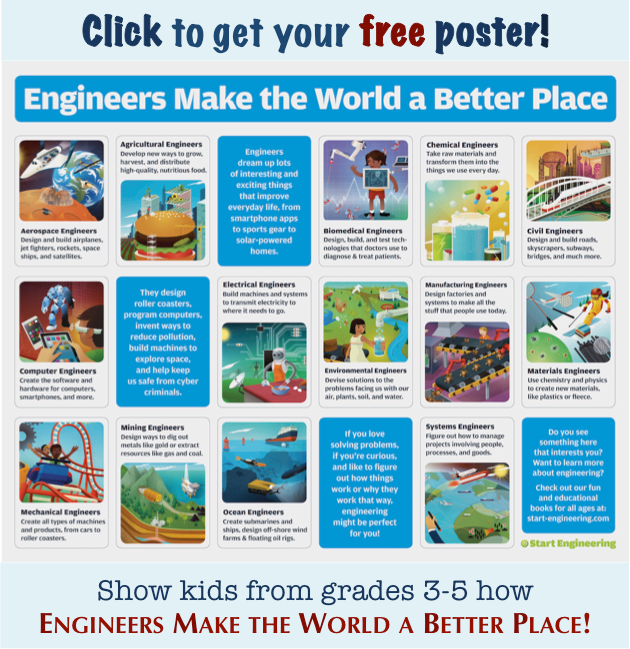 Indeed, formal engineering instruction is entering more and more elementary schools, through innovative programs like Engineering is Elementary and others. 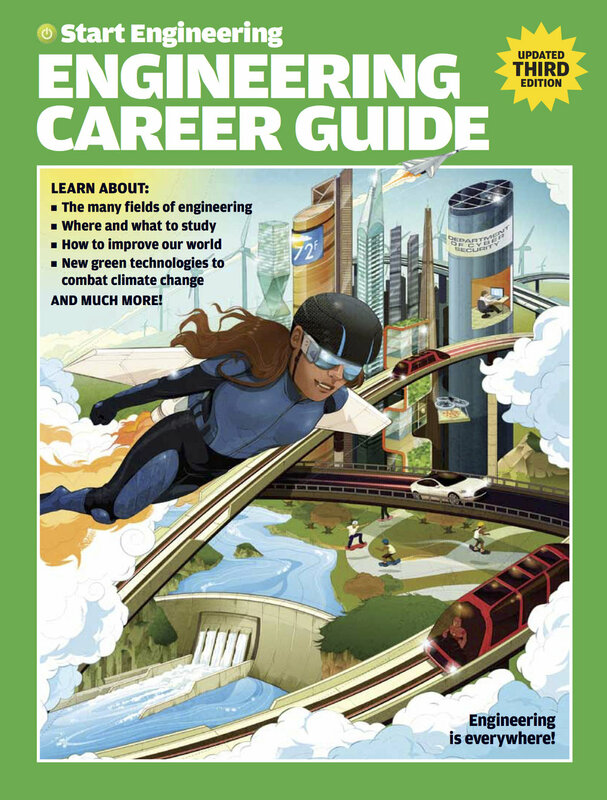 And resources for informal engineering education are finding receptive audiences, as we’ve seen with the success of our own elementary-school book, Dream, Invent, Create. But there’s lots more technical toy fun to be had than just with LEGO's. We found 11 great engineering-flavored toys, suitable for ages from two to, well, as far “up” as you like. Want to see more great engineering toys? Check out our lists for 2015 and 2016, too! Our selection filter had various elements. Learning by doing (and failing) is a big part of engineering, so we wanted toys that offered kids room to experiment and adapt, maybe get frustrated, but mostly to play in ways of their own devising. We looked for toys that drew on different engineering fields. Building is a common feature, of course, so civil and mechanical engineering come in for lots of attention. With cheap, modularized electronics so widely available, electrical engineering is a comer in the field, with some elements of computer programming finding their way into toys, too. And you can even find toys on this list that involve exotic areas like alternative energy and biomechanical. We also liked toys that offered opportunities for collaboration or game-playing. Soft skills, after all, are just as important in elementary school as in engineering. All these toys are easily found, moderately priced ($15-$75, for the most part), and reviewed very well by parents. Age ranges will vary, but our list runs from youngest to oldest. Magna-Tiles or Magformers. 2 and up. Coming in sets of colorful squares and triangles, these plastic tiles have magnets at the edges. They attach in any fashion imaginable, enabling the construction of houses, castles, rockets, ships, small towns, and whatever else kids can imagine. One of the favorite activities in my kids’ pre-school classroom, these tiles always attract a crowd after the first kid pulls them out. Some people report that Magformers have stronger magnets and are easier for small hands to maneuver. Wedgits. 2 – 6 years. These are brightly colored building blocks of different shapes and sizes that stack, nest, balance, pile – and fall down if not arranged by sound structural principles. Full instructions are provided, but not really necessary. Kids will learn about angles, balance, weight, and force, building objects of their own design or following the guidance of design cards that lead them through increasingly challenging projects. The starter kit is easy to expand upon, as kids grow and fine motor and building skills increase. Hexbugs. 3 and up. Small, battery-powered, buglike tokens, Hexbugs move through environments kids can build out of plastic hexagons. Moving up, down, across, even flipping over, Hexbugs can show how well a designed environment works for its inhabitants. Add-on kits expand the range of possible environments. A small number of reviewers note kids can lose interest after building the habitats a few times and then just watching the bugs move around. Others say kids find enduring fun with Hexbugs. As they say, your mileage may vary. Gears, Gears, Gears. 4 -10 years. Simple principles of construction and mechanics underlie this collection of gears, cranks, pillars, and connectors. The basic kit enables open-ended arrangements, and add-on kits contain parts for making specialized objects – vehicles, animals, scenes – by following instructions. Kids see how cogs and gears can be configured to drive motion and force across a field of intermediary parts. Some people report kids getting frustrated with add-on kits that limit the range of what can be built. Goldie Blox. 4 – 10 years. Darling of the TED set, the Goldie Blox line features girl characters in storybooks pursuing engineering adventures. Kids then act it all out with accompanying construction kits that take their cues from events in the narrative, like building a dunk tank, spinning machine, or parade float. Launched by an enthusiastic Kickstarter response, Goldie Blox toys are designed to bring out girls’ inner engineer, so thoroughly ignored by the “pink aisle” of the toy store full of princesses and dolls. Some people complain about the build quality; many more find them engaging and fun. Robot Turtles. 4 and up. Another Kickstarter success story, this board game sneaks the logic of computer programming into the action. Using code cards to direct the movements of turtles on the game board, players have to decide the best way to get where they’re going, navigate obstacles on the way, and undo mistakes by retracing their steps. ThinkFun, the manufacturer, offers supporting educational content related to computer programming and more-advanced game resources on its website. As kids get older, they can execute more complex “programming” commands and gain exposure to the logic that connects the game to real-life computer coding. Mindware Q-BA-MAZE 2.0. 5 and up. In the marble run genre, the Q-Ba-Maze offers elaborate, varied, colorful construction possibilities. Utilizing primarily cubes and a sprinkling of stilts, tubes, and other plastic shapes, kids can build mazes of all shapes and sizes for transporting marbles from one end to the other. Exercises in motion, force, and construction, the Q-Ba-Maze presents opportunities to explore the design process, via testing, tweaking, and tinkering. The website offers extensive, supplementary plans for building runs in different ways. Snap Circuits. 5 and up. Electronic circuit-building made elementary, Snap Circuits allow for easy connections and scores of different projects. The circuits are said to be durable and reliable, offering a tangible sense of how electronics work. Projects include an AM radio, doorbells, a burglar alarm, even electronic games. Snap Circuits seem to appeal to both boys and girls, and more-advanced kits include an iPod-driven light show and alternative energy projects. Extensive educational supplements are available, as kids get older, including a 138-page Student Guide. K’Nex Education. 6 -14 years. K’Nex connectors look like little segments of sunbursts, which has always made them seem like the happiest of toys on the shelf. At the same time, the kits pack some of the heaviest educational punch, with names that sound like textbooks: Introduction to Structures, Introduction to Simple Machines, Force and Newton’s Laws, DNA Replications and Transcriptions, etc. Kids can build functional machinery and submit it to all the phases of the design process; moreover, the kits are aligned to Common Core standards. As sophisticated a set of learning toys as you’ll find. Roominate. 6 – 12 years. Designed by two women engineers, Roominate combines simple circuitry-making with modular building pieces to let kids design and build dollhouses that go beyond the typical. They can build entire structures plus the furniture and objects that go inside, then add motor and light circuits to bring the whole thing to life. Drawing on engineering in many dimensions, the kits are designed to attract girls from early elementary school and older to the field. Mindware KEVA Contraptions. 7 – 15 years. A simple approach – lightweight wooden planks plus two metal balls, with the rest up to imagination and experimentation. The planks can combine to take all kinds of forms – tunnels, funnels, chutes, platforms, drops – for the balls to roll through, if the contraption is designed and assembled properly. The game teaches as much about dealing with design failures as it does about physics, gravity, and building principles. Add-ons include a wrecking ball, catapult, and trebuchet, if you want to make the transitions from one structure to the next a bit more dramatic. That’s our list. Add your favorites in the Comments section, whether from your own childhood or more recent play experiences. As always, we’re delighted to hear from you.